Not too long ago, someone put one of my posts on Yandex-Zen and the number of my blog’s views went straight up. I haven’t seen that since 2014, and that’s very good. And I would like to tell new readers that, in spite of my numerous selfies and Crimea photos, our aid to the people of Donbass is ongoing. We continue to help nearly every day. And thanks to those who participate in it. This is a complex, multi-stage process, linked by many invisible threads. I don’t know how often I should write about Donbass. I could write reports every day, or once a week. Now I write several times a week, so as not to overload you. And to be honest, it’s hard for me to write more often, I get lost in the thicket of phrases. What’s more, I have written about it so many times that it’s difficult for me to find a new way to tell it, and I feel like a bore. But, overall, thank you for being with me. This report-post is about people under our constant care. There have been so many posts about them that I don’t want to become a parrot repeating the same over and over again. Please read about them, there are tags at the bottom of the post pertaining to them. This is assistance to people who find it hard to survive in wartime conditions. 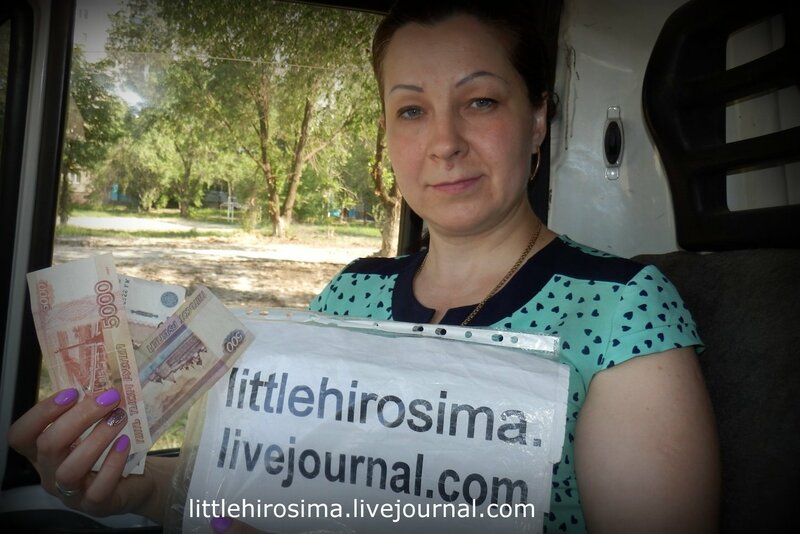 –Ira told me that there are people who help terminal cancer patients without any compensation. She gave me your number. I tried to take care of it myself but wasn’t able to. We are in shock–Ira, our Ira, died in the Spring. This young and lovely girl with two small children passed away after a long struggle with cancer. We tried to help her in every way we could. But we did not succeed. We provided nearly everything she needed, including chemo preparations, but the cancer was stronger. Or maybe it was simply the war, which leaves people like Ira no chance of survival. The woman who called us is Sveta. 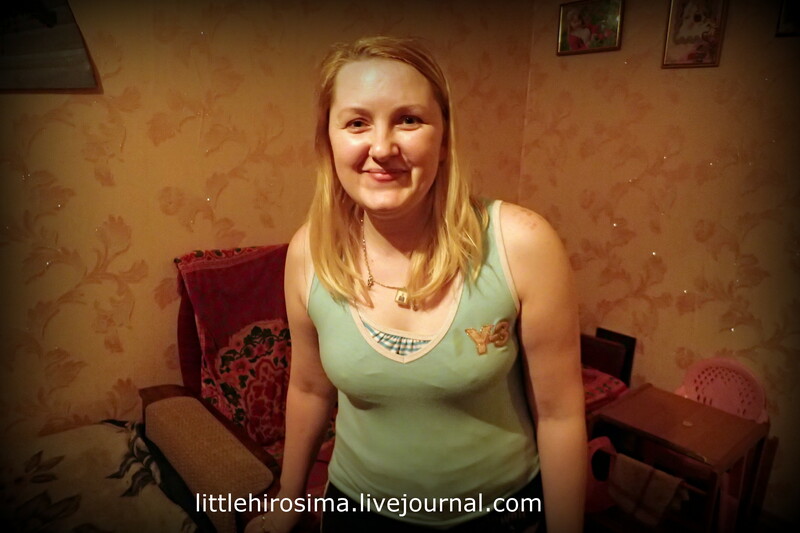 She’s from Lugansk region, but lives in the Ukraine-occupied part. Not LPR. Her stepfather has been diagnosed with prostate cancer and a cyst on a kidney. 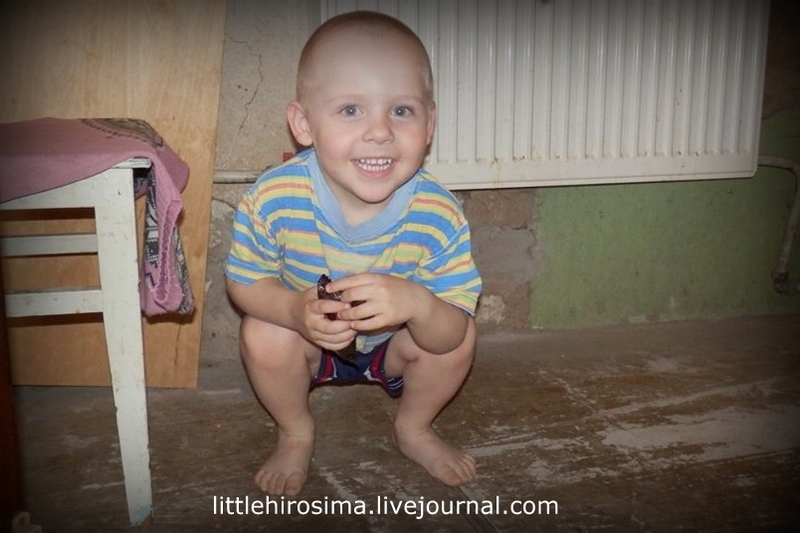 He was throwing up for three days, and then he was told in the Lisichansk hospital he needs surgery, but there are neither medications nor surgeons available. 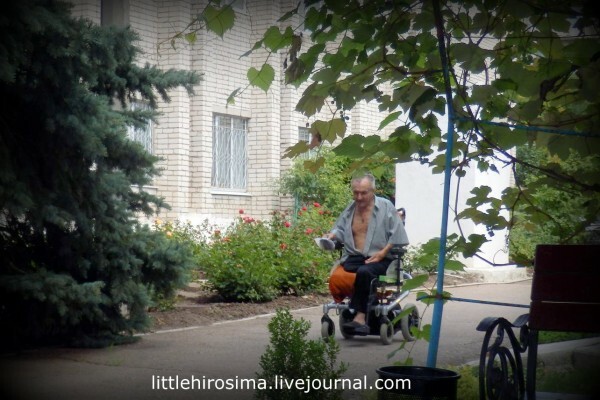 He was advised to go to Lugansk, LPR. It as a program of “free assistance to compatriots”. Keep in mind, this program has existed for a long time, it treats EVERYONE who has a Ukrainian passport. FOR FREE. Yes, they lack certain types of preparations, instruments, but it’s FREE, and for many it’s salvation and the last chance. Therefore the Lugansk hospital’s cancer ward has a long waiting list. This is another in a series of reports on people who are under our ongoing care. Thank you everyone who, in spite of the summer and vacations, is continuing to help the people of the Donbass. Sometimes I’m at a loss for words to express my gratitude for your trust and caring. Nearly every time people respond me with letters which ask me not to thank them. Please allow me that. It’s very pleasant to “give thanks.” To be sure, one may consider “thank you” to be flattery, but I really want to hug you all. And now about our people. Lyubov Mikhailovna is the grandmother of Timur and Elisey. No parents–the mom ran off at the beginning of the war and hasn’t been heard from since. They live off grandma’s pension, there’s no other income. She is disabled due to diabetes and blood pressure problems. She can’t get child benefits since the kids officially have a mother. To read more about this family, click on the Timur and Elisey tag at the bottom of this post. 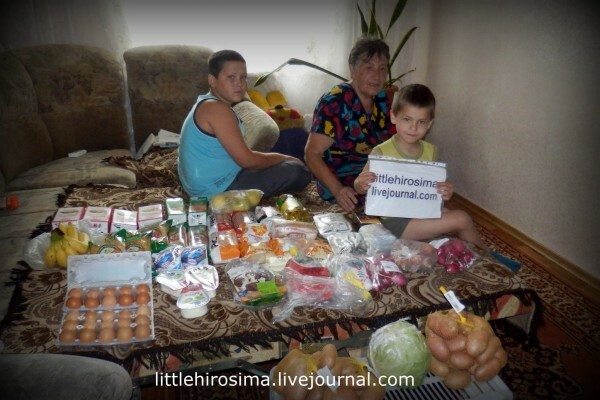 Vergunka, one of Lugansk’s regions, was recently hit. It suffered a lot in 2014, and it’s right next to the line of contact. People live there as if on top of a volcano. And they know more shells can come at any moment. You know well about Vergunka from my reports, it’s where Ira lives, whom we’ve been helping for a long time. Ira is a single mom who was abandoned in the midst of pregnancy by her husband during the shelling of ’14. She then gave birth, then restored the house which suffered from shelling. Fixed walls, roof, without any water or electricity, and with an infant to take care of. 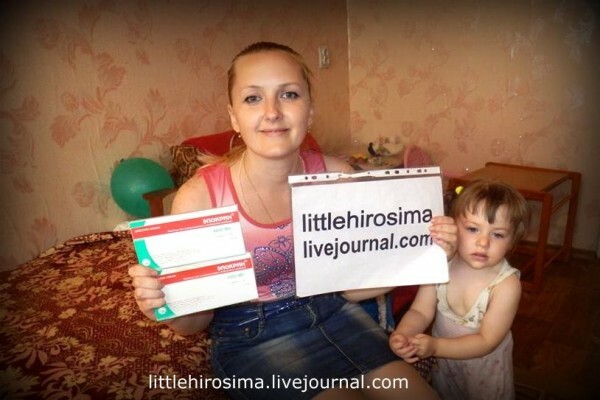 While Ira was hiding from the shells from Lugansk (which was also shelled, but where else was she to go while pregnant? ), her house was totally looted, everything was taken out down to forks and spoons. We’ve been helping Ira with food, medications, pots and pans, clothing. Brought a computer for her daughter, then collected money in the winter for a gas water heater. Ira has it very hard, she’s alone and has two kids. 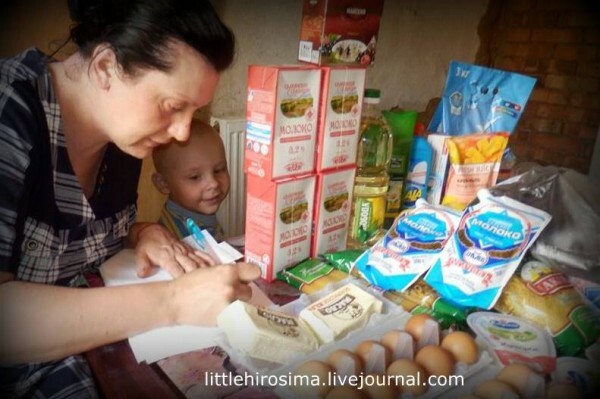 She works as a clerk in a store, 10-12 hours a day, and the older sister takes care of Vovka. The days off are spent in the garden and on housekeeping. She earns 5,000 rubles a month, which is not the worst salary given Lugansk conditions. But now Ira begun to have health problems. Look at how big Vovka is! Our aid. Thanks to all who participate! Please label all donations for Ira “Ira”. Always with a beaming smile, head raised high, and a guitar in her hands–Ira was a real fighter. She fought cancer for several years. It was discovered during her pregnancy–she gave birth to a daughter in 2015, and was immediately sent to the cancer ward. The pregnancy gestated for much of 2014. You know what that year was like in Lugansk–war in its most awful form. Then it was a life of endless struggle–chemo, medications, metastases, hospice. Over and over again. It’s a miracle she survived the last 18 months. We showed her medical history to Moscow physicians in the hope that in Russia she could get help, but they said there was no hope for recovery, and she had weeks left to live. But Iran kept on living, and fully participating in her family’s life. Happy International Women’s Day, Lugansk! Everything in Lugansk is under a thin layer of ice. It’s very difficult to walk or drive. The elderly don’t venture out at all, too easy to get an injury. It’s under these circumstances that our friends drove all over town to bring greetings to our girls. These “girls” are mostly single retirees to whom nobody else will bring these holiday greetings, as they have no husbands, no children, and they are completely alone on this day. Many have incurable illnesses, and it’s not just people under our care but also hospice patients. Yes, the staff there is all women, and they are working. It’s difficult for men to work there–this is no empty phrase, in general such institutions employ mainly women. This is a very spring holiday, a very touching one, and also a badly needed one. And you know, it’s nice to see the smiles of our women who find themselves in such trying conditions. May everything turn out well for them! Maybe for some not for a very long time, but even that is something! Unfortunately, we weren’t able to visit everyone. But I can’t imagine how our friends managed to make their way around the city. This is Lera. 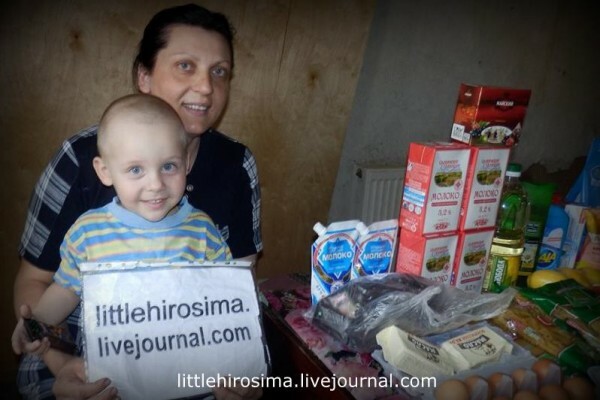 She’s an orphan, her mom Inna died last year of cancer–he helped her with the treatment and with money. Look at how she’s grown. She’s a beauty! Ira was sad. And also very tired. The weariness was evident in everything–her walk, her smile. It seemed she had shrunk. So tiny, so fragile. The door was opened by a funny zebra, Ira’s older daughter. The zebra was only missing a tail, but did have funny ears and a long mane hidden under the hood. There was another little girl running around, very funny even though not a zebra. I must have started this post, erased it, and started over, at least ten times. It’s hard to write things differently. So that people would notice and read. These women are at war every day. Every day they are in their own trenches. They fight, they struggle for every moment. With their kids, loved ones. 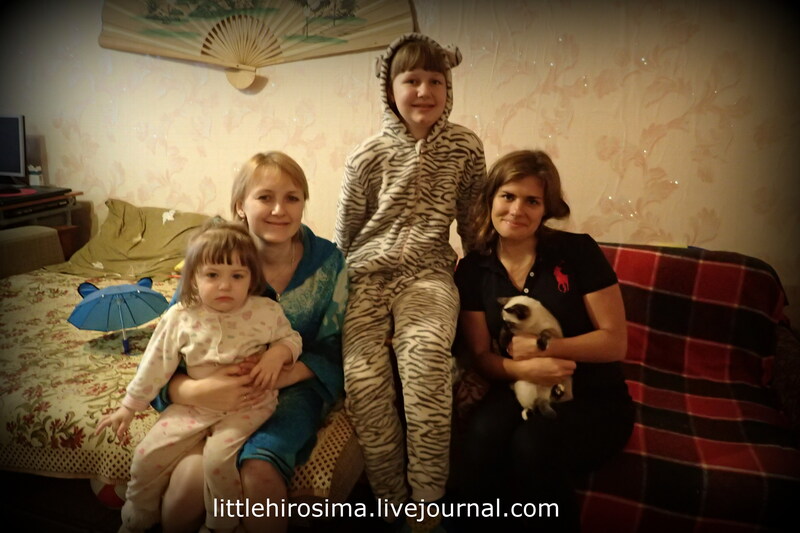 “Our girls”–that’s how Zhenya refers to them, irrespective of age. I really don’t like the word “wards”, but how else should one call the people we help? There are many people whom we help constantly and since long ago. Among them are cancer sufferers. Those are the most difficult cases. Helping the doomed. The number of those who are already gone is unfortunately large. But in each case we keep faith and hope. This is Ira and Tanya. Both are fighting. And I have faith in them. Ira is very young. She’s so beautiful, so bright, so kind…I recently wrote about her–she’s had major improvements, even could walk again. Without a walker or cane. But her temperature has increased again, and it turned out she’s suffering from a major relapse with metastasis. Again time for Chemo. She needed a medication to increase hemoglobin. Thanks to those who sent money for Ira, and a separate thanks to my friend who helped find the preparation at a reasonable price. Just look at this beauty! How can this be? 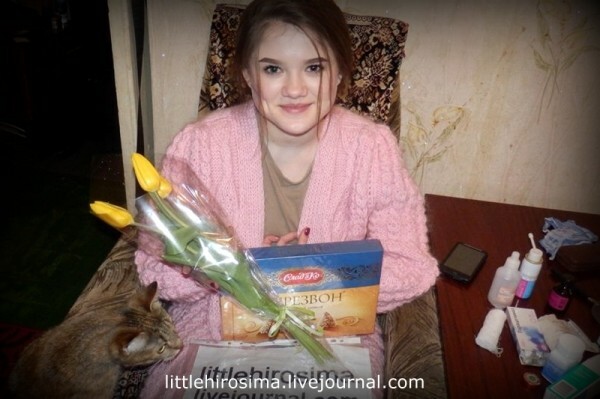 When we were in Lugansk, I really wanted to visit our lovely Ira. Listen to her guitar and singing and have tea with her. She’s a person of rare kindness, and one always wants to be around her. She has cancer and, to be honest, when we thought of bringing her to Moscow, the doctors said she was in a bad shape. But Ira never lost hope. She smiled unforcedly, genuinely, sincerely. Such smiles are becoming ever more rare. Back during the winter she was in bed, never got out, and she was given no chances of survival when she and her husband started treatment. We were not told what kind of treatment. The husband, who is an emergency care medic, helped her a lot. And then she started to get better. In a big way. We and Zhenya even agreed not to write about it, only mention it obliquely. We were afraid to even speak about it. After all, she didn’t simply start to get up. She blossomed, improved in every way.